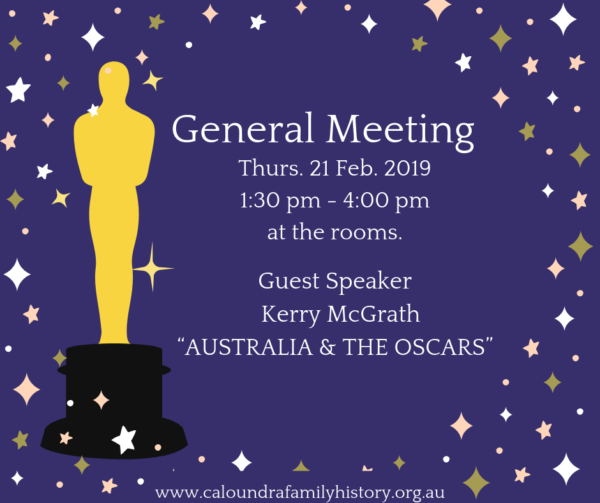 The speaker for the February 2019 General Meeting is Kerry McGrath. The topic is Australia and the Oscars. The presentation starts at 1.30pm and is following by the monthly meeting. If you have any queries about attending this talk or the General Meeting, then contact us.